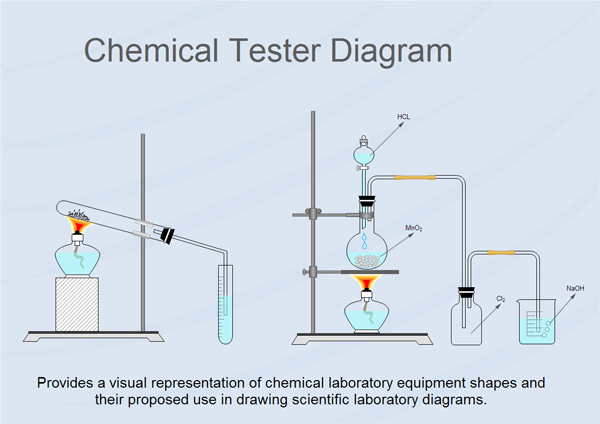 An example Scientific Illustration, showing a simple chemical tester diagram for illustrate how to design a chemical tester in computer. 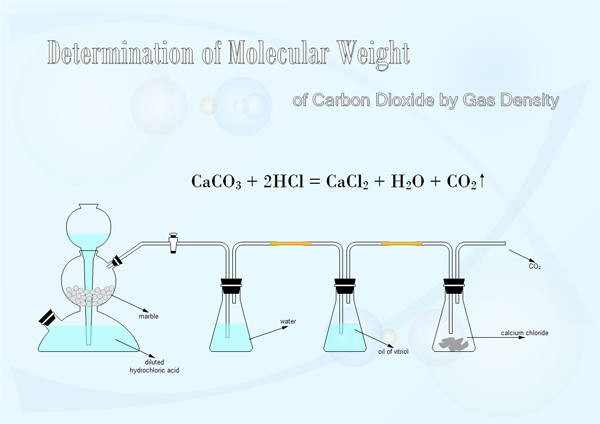 Another chemical test for determination of molecular weight of carbon dioxide by gas density. Click here to free download Edraw Max Software. Then you can make use of the built-in chemical lab shapes to design and present your chemical tester efficiently and effectively.